Splash White Water Rafting has been one of the main providers of outdoor activities in the UK for well over two decades. In this time we have looked after more than 100,000 guests !! We are a specialist outdoor activities company, specialising in both water and land activities. We cater to individuals, families, community groups, stag dos, hen parties, schools, corporate and charity events. Splash Glasgow at Pinkston is our next adventure. 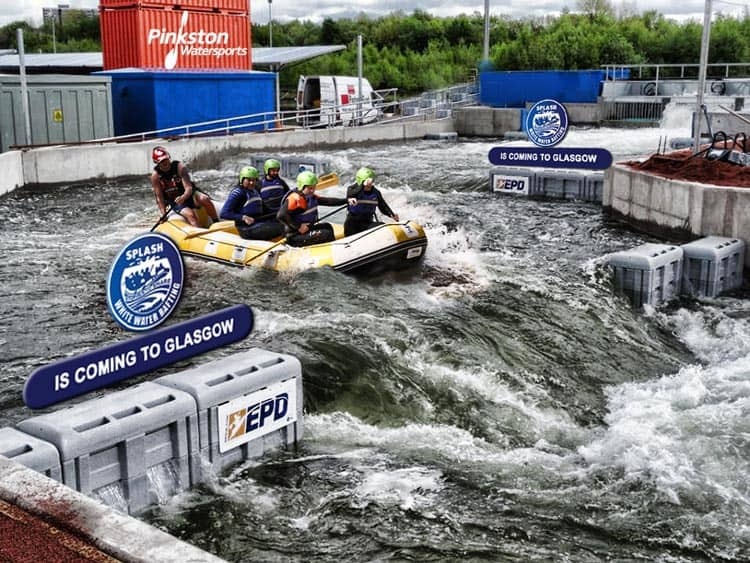 There has always been access to white water rafting near Glasgow (1 hr 30 min drive) but now there is rafting in Glasgow!! We at Splash White Water Rafting are bringing our vast experience and industry knowledge to Glasgow via the Pinkston Waterpark, Scotland’s only artificial whitewater course. Splash Glasgow will be introducing white water bugs (bugging), rafting, duckies, Stand up Paddle boards(SUP) as well as Bug polo and SUP polo. We are extremely excited to be working within the Glasgow area and promoting “Urban Adventure” to the people of Glasgow and the surrounding areas. 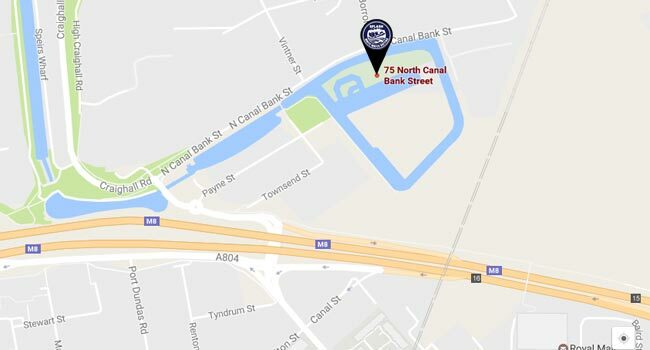 So if you are looking for Rafting Glasgow or Bugging in Glasgow – get in touch for more information about rafting in Glasgow. 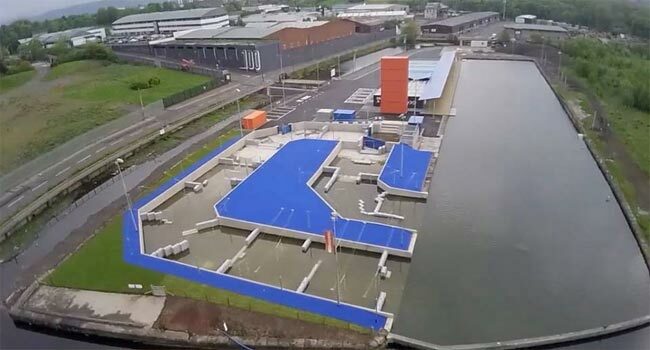 We are especially happy to be working with the team at Pinkston watersports which is a charity based in Glasgow and an official Glasgow 2014 Legacy project. The site is state of the art and has seen over 1.5 million pounds of investment. Facilities include Changing Rooms, showers and toilets onsite. New Splash Glasgow white water activities. Our activities have been expertly adapted from their native river environment to work on Pinkston’s specialist whitewater waterpark. White Water Rafting is one of the most exciting river activities ever created. Whitewater rafts are engineered to handle everything the river can throw at them. You and your team will work with one of our experienced guides to navigate the raging rapids. We brought River bugging to Scotland from NZ in 2003. The bug is a one-person craft that looks like a giant inflatable armchair! Complete with your webbed gloves and full wetsuit and safety gear you will be ready for the course. We will help you negotiate your own path down the white water rapids. The Duckie is a cross between a white water raft and a kayak, and provide the ultimate white water thrill for both beginners and more advanced paddlers. Duckies are perfect for exploring the white water rapids of Pinkston’s course. The Duckie is a highly manoeuvrable craft which allows for you to control your own journey down the river. Don’t worry our expert guides keep a watchful eye over you to ensure your safety. Stand Up Paddle Boarding is an off shot of traditional surfing which originated in Hawaii. A fairly new sport that has blossomed over the last few years, which has seen the sport diverge from the sea to the river. There are even people doing Stand Up Paddle Board yoga!! All our activities and packages will be perfect for the Urban Adventurer. We believe that everyone should be able to access world-class adrenaline and a taste for the healthy living, outdoor lifestyle. The activities opening up at Pinkston’s will be perfect for everyone, individuals and groups alike. Easy to pop over to from anywhere in Glasgow, a few hours of activity to get the heart pumping, to de-stress and refuel. Or make a day of it, be it birthdays, weekend/ weekday treats, or just to try something new. So if you’ve tried and love wakeboarding, snowboarding, sledging or skateboarding get ready to find your new addiction. There is nothing quite like the buzz of whitewater adrenaline activities. Our activities and packages are ideal for school groups, corporate team building events, charity fundraising events, Stag Dos, Hen parties, birthday parties, community groups and more. Our industry leading experience providing adventure is being brought to the Urban adventure landscape, get ready to book your next adrenaline packed activity right in the heart of Glasgow.